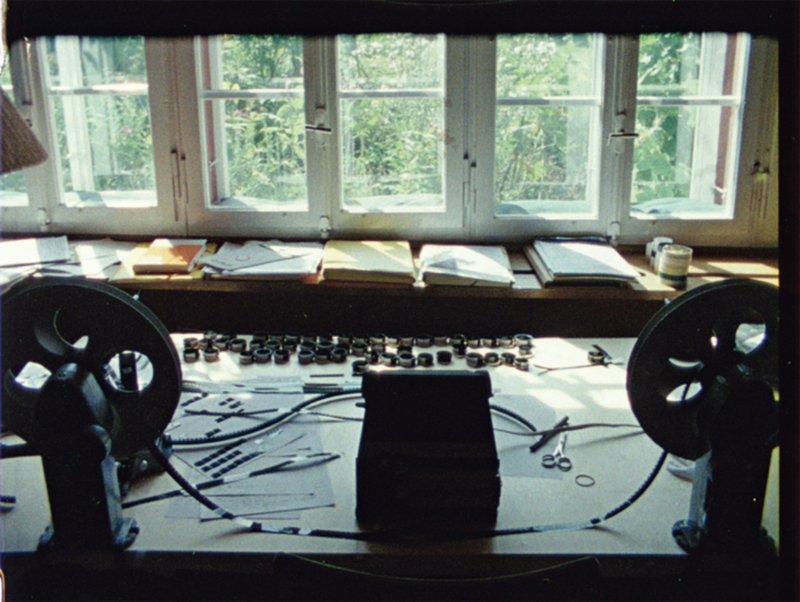 Still from Robert Beavers’s Listening to the Space in My Room, 2013, 16 mm, color, sound, 19 minutes. IN THE YEARS since Robert Beavers completed his epic cycle My Hands Outstretched to the Winged Distance and Sightless Measure (1967–2002), which encompasses the seventeen films he made in Europe after leaving the United States in the late 1960s, he has realized three new works: Pitcher of Colored Light (2007), The Suppliant (2010), and, now, Listening to the Space in My Room, which made its US debut at the 2013 New York Film Festival’s “Views from the Avant-Garde.” Between 2002 and 2012, Beavers lived on the ground floor of an old house in Zumikon, a quiet Zurich municipality, just underneath his landlords, Cécile and Dieter Staehelin, a retired doctor and a cellist, respectively. Now ninety-four, they’ve been together since their late teens. Before he left, Beavers shot his new film, a lyrical ode to the Staehelins and to life in this long-shared place.